Conferences are well known for the opportunity they provide to spark our imagination and to generate productive networks between researchers from different universities and institutes. Our small group of scholars from Charles Darwin University (CDU) in the Northern Territory of Australia experienced an interesting twist on this narrative recently. Our attendance at two major STS conferences – EASST2018 Conference in Lancaster in July and the 4S Conference in Sydney last month – revealed to us that through the eyes of (some) others, there was seemingly a clear and coherent ‘hub’ of Darwin based STS researchers. This was welcome news for us and an understanding we are now seeking to cultivate. However, it was certainly not a realisation that we had made ourselves! This year was the first-time scholars from northern Australia have travelled together to attend large, international STS gatherings; an effort significantly assisted by this year’s location of 4S in Sydney. At these events we have found the opportunities for engaging with other STS scholars invaluable. Over the course of delivering and listening to presentations, and through formal engagements and informal networking, we came to learn more about current debate and issues in STS, as well as to develop a stronger sense of the approaches and practices that we share. While we have been working together for a number of years and are collaborating on research and teaching projects, it took the experience of being at these conferences to realise that there were certain research commitments we embody and genealogies that we hold in common. Fig. 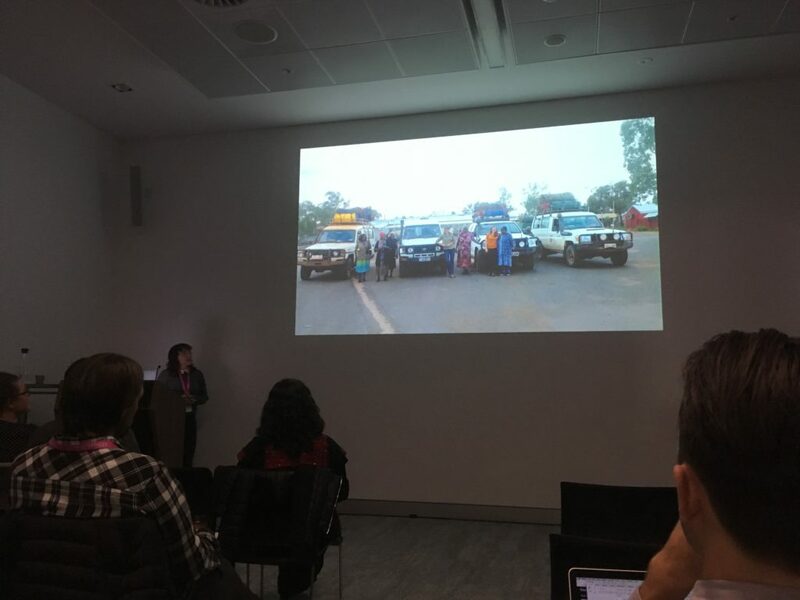 1 Presentation by TopEndSTS member Jennifer Macdonald at 4S Sydney, 2018. Pushed by the experience of these conference events, we selected a title for our emerging group that speaks to our local situations, as well as our involvement in broader STS networks – ‘TopEndSTS’. For those not familiar with the term, the ‘Top End’ is generally used to indicate the northernmost parts of Australia, and for us it evokes a sense of situated research which includes and engages disparate climatic environments, complex interplays of connection and ‘remoteness’, and the co-presence of many differing Western and Indigenous modes of people-place making. As a group, we see TopEndSTS (sometimes the twitter handle @TopEndSTS, sometimes just a name) as a growing and evolving group of STS scholars who are generally, though not always, based in northern Australia. As scholars we often juggle several hats, with our commitment to ‘STS’ often complementing other disciplinary affiliations (for example, in anthropology, human geography, resilience and heritage studies) and our position as scholars often merging with other professional roles (for example, as language workers, government bureaucrats, arts practitioners and archaeologists). However, in developing and participating in TopEndSTS, we all share a commitment to supporting research work and conversations around relational, and engaged, STS research practice. Fig. 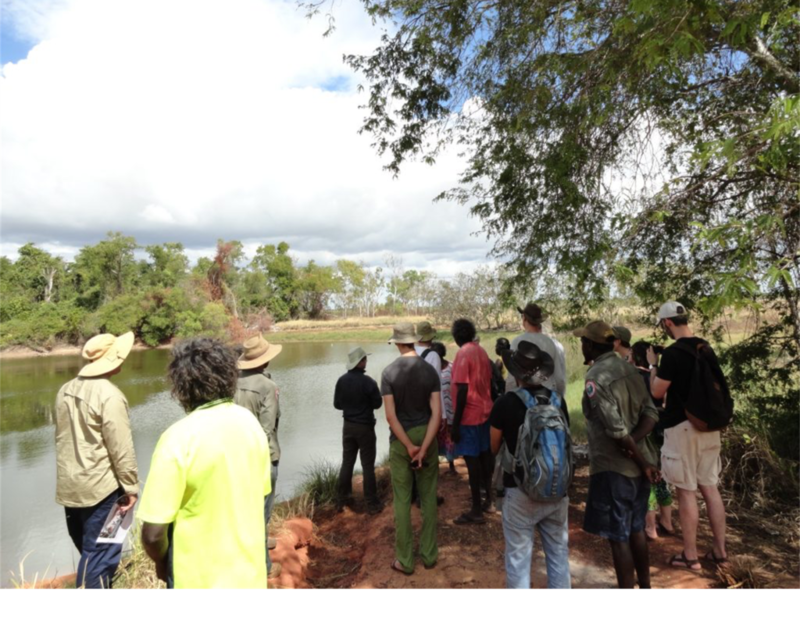 2 Water work with Traditional Owners and hydrogeologists at Nilatjirriwa, waterhole on Milingimbi Island, East Arnhem Land. 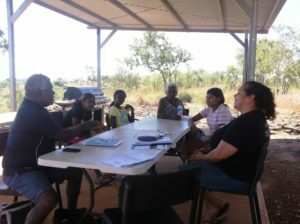 STS is far from mainstream in northern Australian research circles; however, as a group we are fortunate to be part of a rich and unique legacy of STS scholarship, with its origins embedded in collaborative practice between researchers and Yolngu and other Aboriginal elders and knowledge authorities. The STS we undertake at Charles Darwin University remains strongly connected to Helen Verran’s (2018) concerns with ’how differences are generated in humans going-on together’. These concerns began in her time in Nigeria and were consolidated in her work in Arnhem Land in the 1980s. Back then, participating in a policy era focused around self-determination and bilingual education for Aboriginal Australians, Helen’s work was carried out under the guidance of Yolngu Aboriginal elders, and involved careful negotiation of the knowledge practices mobilised in education curricula and the teaching of maths in high school classrooms. This acted as an antidote to the assumed superiority of non-Indigenous students and Western knowledge and became fundamental to the philosophy and knowledge making practice of the Yirrkala Community Education Centre in Yirrkala. 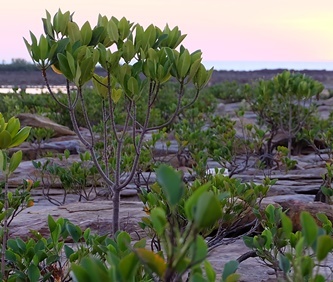 These early beginnings, and long-term collaboration with Michael Christie, led to the development of a vibrant research and consultancy practice at CDU (see Yolngu Aboriginal Consultants Initiative and GroundUp). This research continues to mobilise the same philosophy of pragmatic, ground-up knowledge production and agreement making which can be seen as connecting with Yolngu Indigenous metaphysics and forms of pragmatism present in the Western tradition (Verran and Christie, 2011). 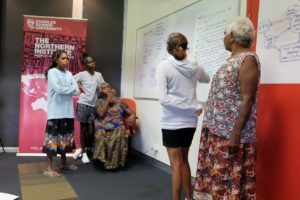 Today, working across the Northern Territory, TopEndSTS scholars and post-graduate students are continuing to find careful and collaborative ways of navigating the complex institutional landscapes of the region. Our work includes: developing institutional practices within and beyond the university which support collaborative knowledge work (see for example, Yolngu Research@CDU and the Living Archive of Aboriginal Languages); cultivating design-oriented approaches for infrastructures of policy evaluation (see for example, Remote Engagement and Coordination – Indigenous Evaluation Research); and problematising received concepts of land and sea ownership, climate adaptation, economic development, language and education as these concepts configure emerging realities in more or less colonial ways (see for example, Disaster Resilience Management in Aboriginal Communities in Darwin and Cross-Cultural Management of Freshwater on Resource-Constrained Islands). Fig. 3 & 4 Collaborative design of approaches for evaluating government policy practices in Ngukurr in South-East Arnhem Land and at Charles Darwin University in Darwin. We now recognise such work as characterising TopEndSTS and see our work as inhabiting a range of settings and situations in the collective life of northern Australia and beyond. We are developing scholarship within complex nodes of cultural, social and economic practice in which the local, the national and the global entwine in unique ways. This work, mostly funded by government and non-government organisations interested in doing their work differently, centres on issues of current concern in the ongoing interactions between Aboriginal people and their places and communities, and the non-Indigenous organisations and agencies with which they engage. Our scholarship takes seriously a metaphysics of emergence where new and unique worlds and ways appear in careful collaborations and practices in place. This provides the core metaphysical commitment of all this work. In our approach, received categories and practices continue to be transformed, engaging particular Indigenous approaches to knowledge production in the doing of a contemporary northern Australian STS. In our day-to-day work, the TopEndSTS group does our best to inhabit an epistemic landscape which could be considered merely an argument (Deleuze, 1994; Whitehead, 1978), but which our research inhabits as an actively embodied collective form of life as we, explicitly and in good-faith, mutually articulate our differences as we go on together doing those differences. Spurred on by the EASST2018 and 4S Conferences, TopEndSTS is now hoping to become a vibrant, generative hub of shared ideas and collaborations. To help strengthen our understanding of what it means to do STS and to bring our team together, we convene a fortnightly workshop to discuss classic and contemporary STS texts, as well as creating opportunities to share our own writings for mutual encouragement. In 2019, we are planning an STS seminar series and online Cosmopolitics colloquium to share more of our own research and hear from others working in the field. We offer an open invitation to visiting scholars to connect with us. We particularly welcome Indigenous speakers to share their own experiences and ideas, and to invite collaborations and generative knowledge practices. Living and working as STS scholar-practitioners in northern Australia means that we cannot just recognise the presence of multiplicity in knowledge practices, but also need to learn to work with this multiplicity in engaged and productive ways. We are always exploring ways that ’difference can be done differently’, and we look forward to sharing our stories and making a unique and valuable contribution to the STS conversations and debates as our work continues. Verran, Helen, & Christie, Michael (2011). ‘Doing Difference Together Towards a Dialogue with Aboriginal Knowledge Authorities through an Australian Comparative Empirical Philosophical Inquiry’ in Culture and Dialogue, 1(2), 21-36. This piece has been collaboratively authored by current members of the TopEndSTS group, listed here in alphabetical order: Cathy Bow, Matthew Campbell, Nathan Evans, Yasunori Hayashi, Kirsty Howey, Jennifer Macdonald, Elspeth Oppermann, Emma Schuberg Barnes, Michaela Spencer, Christine Tarbett-Buckley, Simon West and Greg Williams.